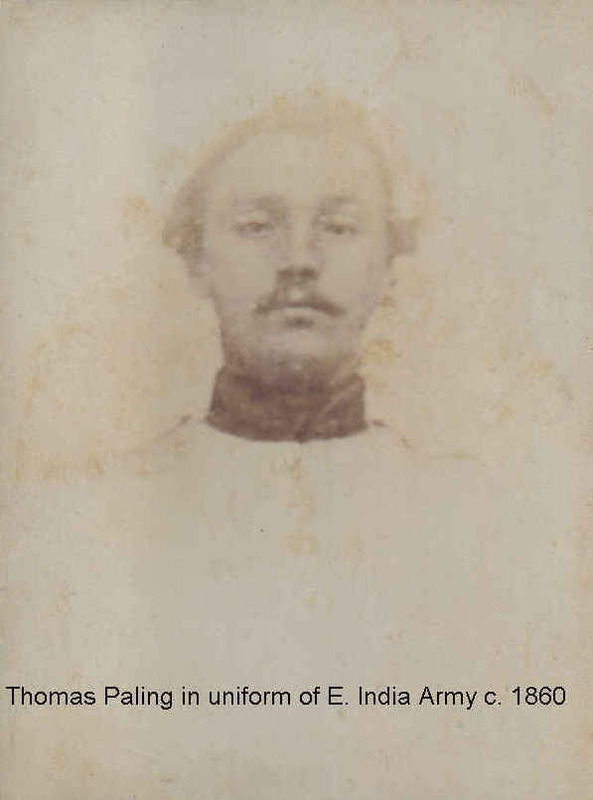 "My" Thomas was born in Houghton on the Hill in Leicestershire in 1839, joined the army as a band boy aged about 14, and went to India and other strange lands. I am attaching a photo of him, rather faded, but we think he is in his army uniform. He returned to England after the Mutiny and joined the railway not long after it was opened around 1863 lodging in Derby. He met Mary PIDCOCK from Little Longstone on Longstone Station - lots of reasons to stop longer in Longstone - and married her in 1865 in St. Giles. They brought their first 4 children back there to be christened. Eventually he was Stn Master at Market Bosworth and Nuneaton, Abbey Street, before retiring to Llandudno after Mary died. He died in Llandudno in 1923.